Its really a happening for us. More news are available online. Day by Day more newspapers are also opening up there content online. 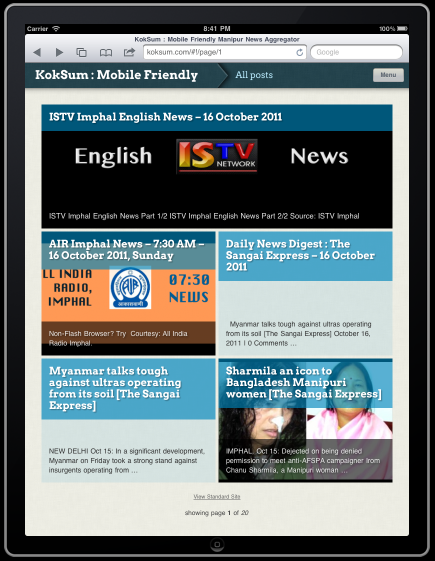 Koksum is an effort to help these news reach to the fellow Manipuris in time in any device. We feel we should encourage more content from our state online. And it should be easy to access, as easy as A-B-C. It is for information purpose only. The effort is to create mobile friendly content for easy consumption in smart devices. NB: The content and copyright of the content lies with the source of the content as indicated in the posts.